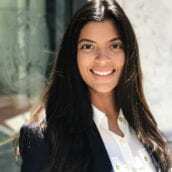 Sandeep Ahuja, co-founder of cost and energy optimization software cove.tool, Inc., brings her experience on working with over university facilities, hospitality, healthcare and corporate. She is pioneering the integration of energy analysis into the design and construction process. She recently won the Atlanta 30 under 30 award for developing cove.tool, a unique methodology to optimize for cost in sustainable buildings. As building performance specialist, Sandeep helps inform building decisions related to performance as they relate to cost.